I attended the last high school level Catholic seminary open in the United States. 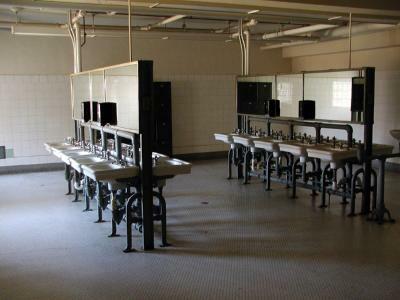 Saint Thomas Seminary high school in Bloomfield Connecticut closed a few years after I graduated. There was and still is a college division there. When I started in 1973, we had school on Saturdays, but had Thursdays off (the traditional day off for priests). We had supervised study in a large classroom for three hours every night and mandatory attendance at mass every day. Four years of Latin were required. I just missed the Greek language requirement, which had been discontinued the year before I started in favor of French or Spanish. I lived in the dorm with about 12 other high school students. The remainder of the student body (about 75 total) were commuters. I went back to St. Thomas a few years ago and took some pictures. The building now serves as a retreat center and houses a number of diocesan offices and a small minor seminary. This was my first time back into the building in almost 30 years. I was surprised to see how little some parts had changed. Dormitory life was a bit Spartan. 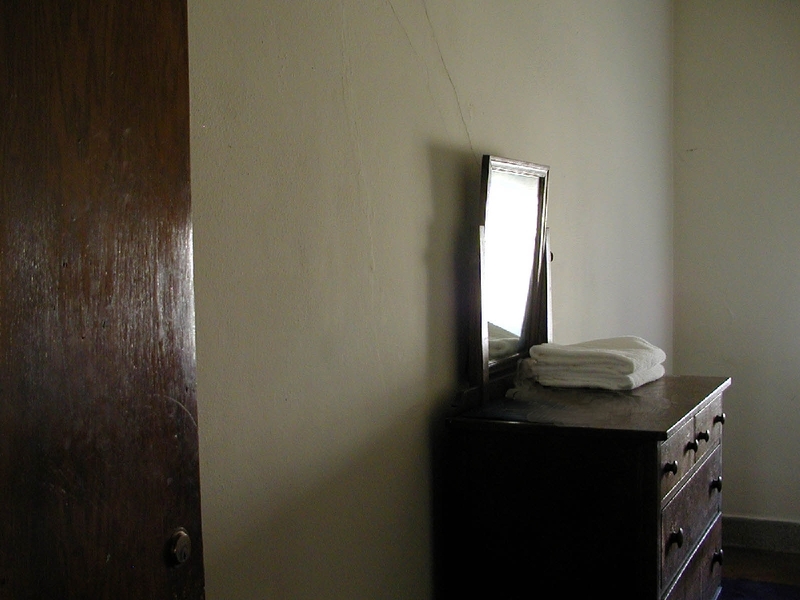 The rooms (top) were tiny, allowing just enough space for a dresser, bed and desk. The furniture from my high school days is still in the dorm. 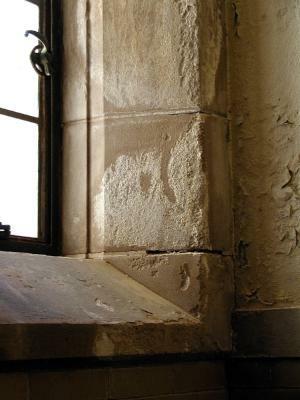 There are four dormitory wings in the massive Gothic building. When I was there, two of the dorms were completely empty. During the height of the Viet Nam War, the dorms were completely filled. 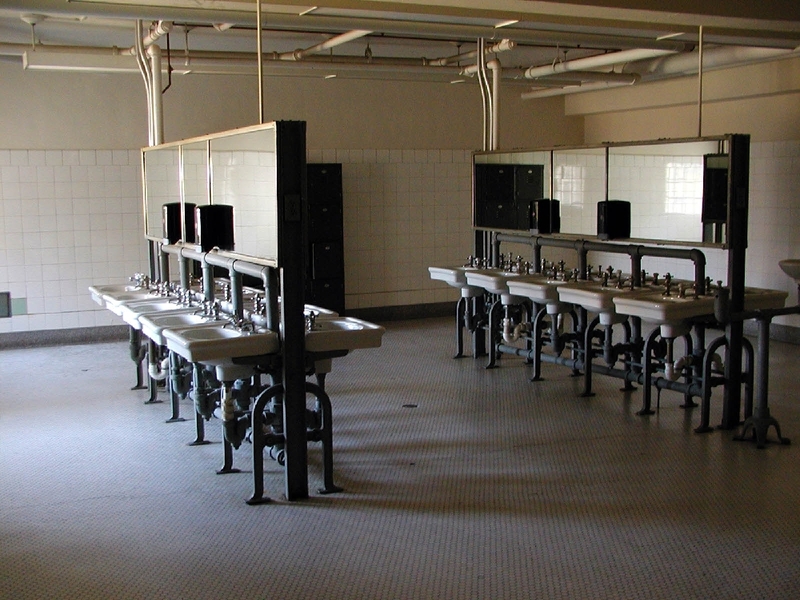 Each dorm wing had a frighteningly institutional washroom (middle). The sections of the building that were being used as office space had been completely renovated, but there were corners (bottom) that were showing signs of age. I never thought much about art before high school. However, on my first day at school, within minutes of moving in, I sat down and sketched a picture of a tree outside my window. I continued to draw and asked for watercolor paints for Christmas that year. Wadsworth Atheneum was just down the road from school and I frequently hung out there on Thursdays. 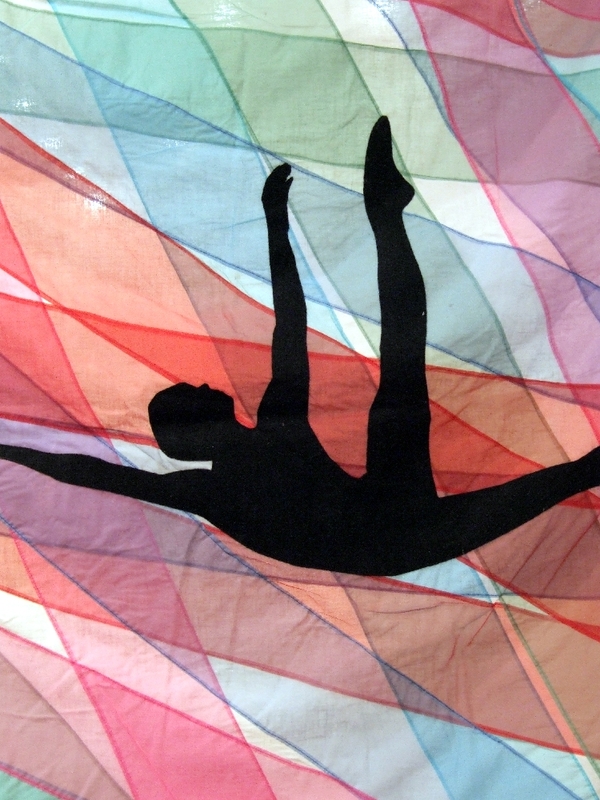 I experimented with drawing, painting and sculpture all through high school. I often dream that I am back in that building. I think that I am somewhat fixated there in an Ericksonian sense. It was a high school experience that was radically different from most others and it still has an influence on who I am and what I do today. 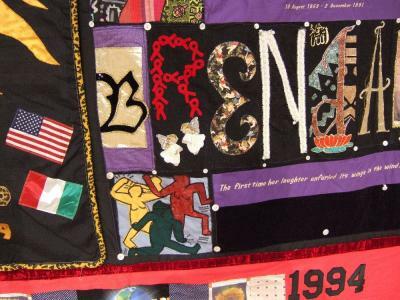 Sections of the AIDS Quilt are currently on display at the Empire State Convention Center in Albany, NY. I work for an program that provides services to individuals living with AIDS/HIV in New York State. Even in that environment, it is easy to get caught up in the day-to-day work flow and forget about how massive and personal the pandemic really is. The quilt provides a great opportunity to refocus an what AIDS/HIV is all about. It is a great piece of art, history and a living testament.